We welcome you to step into the dark northern forest. A place where no plow had touched the ground this far in the wilderness. Where the tall shapes of Viking ships struck terror and awe everywhere they set their sails. This was the age of dreams and legends, of powers now long forgotten. Tales carried by whispers in the cold wind in this dark land. Vierra is a young woman among the Kainu people, a tribe of age-old traditions and ways. Hers is the grim and solitary existence of a woman cursed with greatness and destiny. Can she break her path painted in stone and find a place for herself in her tribe and in her turmoil-filled world? 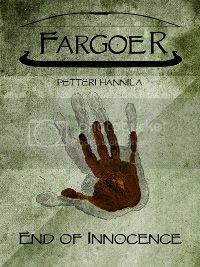 Or will she become ... the Fargoer? 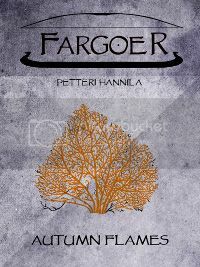 Fargoer is a series of fantasy short stories that draws its power from the harsh yet beautiful nature and folklore of Finland. The combination of fast-paced action and wonder for the long lost worlds of yesterday borrows heavily from pulp-literature of the 1930's... with a bit of human touch and drama in the middle. Somewhere far in the north, in the middle of a dense forest, two girls have embarked on a sacred journey: a journey that is to end their carefree days among the children of their tribe. Grim as their world is, the destiny that is set upon them seems even darker, but such is often the way for the people of this land. Autumn has come and carries with it a sad note for Vierra's tribe. As gloomy as the tidings are, they bring forth the direction of Vierra's future — but only if she has the courage to fight for what she believes to be right. All this, in the midst of a cold autumn rain that is ready to put out all flames both internal and external. The midsummer is the time for midnight sun, festival fires, and rituals for the future. Bright is the future for Vierra as well, as she sets off to hunt as her mothers have done before her in the same ancient tradition. But the fate of one woman can be a fickle thing. It can change as fast as the northern weather — or the mood of ancient spirits. Darkness and slavery walk hand in hand on the road to despair. 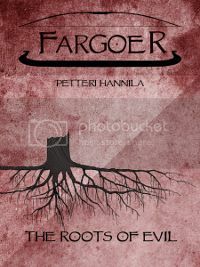 They are Vierra's only companions as she struggles through the days of her miserable existence. Still, an exceptional man is to bring forth a change as inevitable as the morning that cuts through the night. In this gloom of daybreak, through blood, pain and sacrifice, lies the opportunity to salvation. This is a mythic poem telling the story of the origins of Kainu people and the birth of the world. Vierra winced awake and noticed she was lying on an opening that led inside the cliff. Underneath her, she could feel the cold surface of the rock, and behind her twinkled the bare, star-filled sky. Forward, somewhere in the depths of the corridor, she could see a fluttery gleam of light. Vierra got up and approached it cautiously. Soon the corridor opened up into a big cave. In the middle was a fire, and behind the flames was the Mother. She stood facing the wall, away from Vierra, painting the wall with a color as red as blood. The huge walls of the cave were covered in pictures of men, animals, and life. There were the deer, the salmon, and the moose, the most important game for the Kainu. Amid them were the gallant wolf, bear, and wolverine. The entire history of the tribe was painted on the walls. Somewhere they hunted, somewhere they loved, here and there the children ran around playfully. The gloom of the fire made the wall paintings flicker and overlap. Some showed battles against men or beasts, in which the red paint looked the most like blood. The changing light made one picture disappear, only to reveal another one beneath it. In turn, this one also disappeared and made way for a third. The movement of the lively flame made Vierra doubt her eyes, and she blinked furiously to clear them. Extending her hearing, Vierra could discern the low voices. The pictures were alive! People were talking and animals grunting. Here and there, children laughed or cried. As Vierra kept looking, the voices became louder and more numerous until they completely filled her head and she had to close her eyes. The Mother turned towards Vierra, and her wrinkled face was full of surprise. “The last of the Kainu, the last Mother. The greatest of us all, and yet still so small and powerless. Everybody else I will paint to this wall, but in time, you will paint yourself. I am a writer from Central Finland, a software designer by day and a dad/husband/dreamer/martial artist by evening. It all started when I was eight. I found out that there were books of Tarzan, my favourite hero. My mother started to read them to me, but she censored them (all of you who have read them know why). Annoyed of this, I started to read them on my own. Dreams and legends have followed me from that time, as my companions on my voyage through life. Since then I have always thought of becoming a writer, but somehow it just didn't happen for a long long time. There was always something more important to do. Until, finally I understood it would never happen if I just didn't start, and so I did. From the days of Tarzan, exciting adventures and fantasies set in the past and in the future have been my interest. For me then, it was a natural thing to start writing science fiction and fantasy. 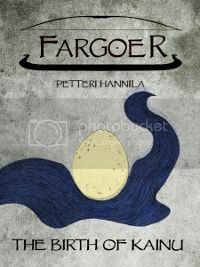 Few of my short stories have been published in Finnish genre magazines, but fairly quickly I gravitated towards the Fargoer -project. You could say Vierra has been my love interest for some years now, and I don't see it stopping any time soon. 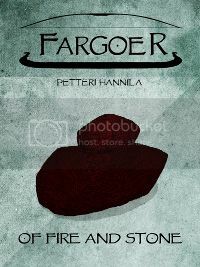 So the dream to become a writer, almost 30 years after Tarzan's first adventures, is on it's way to becoming a reality. At least, with the help of my brother, I am going to give my damned best to try. End of Innocence is free! Grab a copy today!